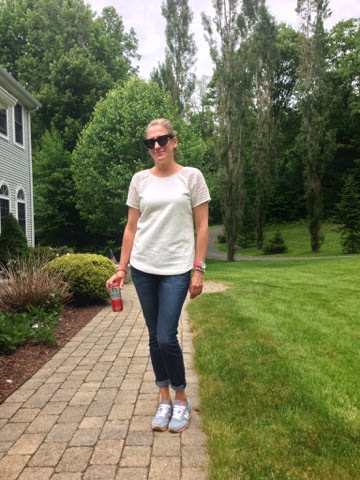 I don't think there is any more comfortable and practical outfit for a woman on the go than a tee, jeans, and sneakers. The question is how to do this without looking frumpy. 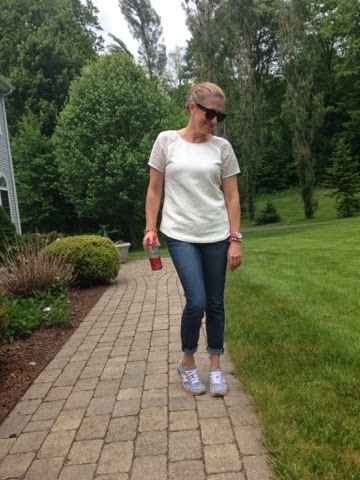 I used to be totally against jeans and sneakers but I have changed my tune. 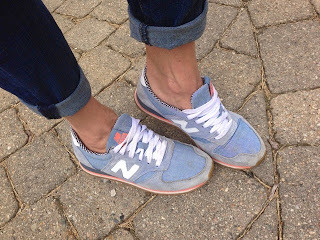 Luckily for us, sneakers are in and there are so many cool options out there ( see a bunch of my favorites below). Do you wear jeans and sneakers or should sneakers be reserved for workout gear?